This entry was posted on September 4, 2013 at 7:30 pm and is filed under civilization., conspiracy, Ethics of Value, War. You can follow any responses to this entry through the RSS 2.0 feed. You can leave a response, or trackback from your own site. excellent essai de par le nombre de questions et réflexions qu’il propose, je vous propose de tourner ma langue avant d’en extraire une synthèse sans avoir la prétention de répondre à toutes les données qui y sont décrites avec audace souvent. Je verrai dans la langue de Sheakspare plus tard. Charles de Gaulle avait eu en son temps, la vision de la capacité de la France à être un pays majeur en Europe du Nord. N’est ce pas le cas aujourd’hui ? Anyway, the (racist!) mistake de Gaulle did was to believe France could do without its Greco-Roman, African and Middle Eastern inheritance. Fortunately sarkozy understood that in Libya, and Hollande in Mali and now Syria. Or point me to relevant information? dear Richard: My own opinion, not read anywhere. I have been thinking of writing something, for years, demolishing Chomsky’s theory. 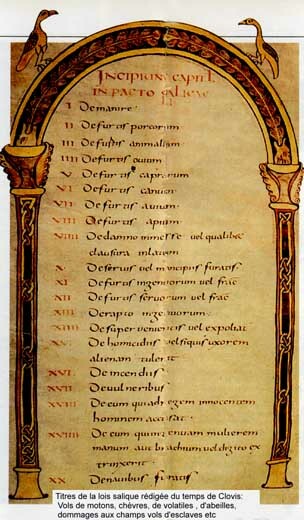 He speaks of grammar, a universal one, but some languages have enormously complicated grammar (Latin, or even French, which is half German-half Latin, grammar-wise). Others don’t have any, or so: Mandarin. I explain better tomorrow because not yesterday I do. French and English invert adjectives relative to nouns. Some recent scientific studies I came across recently support my views. Chomsky misunderstands how minds work. I “learned” German in (American) High School, 2 years. Then I lived in Heilbronn FRG for 3 years (1986-1989) and by the end I conversed with the locals very well. Enough to discuss current events and family matters, but not politics I noticed. Today it is mostly gone. I remember the “learned” stuff more than the conversational. To me that is telling in how the mind works. BHW, I just discovered, to my amazement, that the essay published was an early version not meant for publication. A much more sophisticated version, written over several hours, was neither saved nor durably published, either in my computers, nor in the cloud. I have absolutely no idea how that could that have happened. What happens with children who learn 2 languages simultaneously? Not clear. Chomsky’s theory gives too much a space to instinct. I have a friend who advocates for Philosophy to be taught to children first. I argue that (other) languages be taught first. Maybe teaching philosophy in other language is the best for children? Hi Patrice:I can reply to this. I was fluent in Tamil and Kannada (close Sanskrit) and much later in English. Their grammer is very similar to Sanskrit even though they are Dravidian languages. I learned them simultaneously. In India most children do this routinely. Beware of the cloud. Cash better than plastic. Keep out of social networks. Be aware passwords are stored on major intel databases. In any resistance movement, living underground is key. And everybody, by force, is in the movement or in “security”. After the Fall from the full Republic, even the considerable efforts of stupendous generals (Marius, Caesar), and smart philosopher-statemen (Cicero) over generations, was not enough to put the Populares back on top… And then, for centuries, the army, although the world’s mightiest, was never strong enough to put the Senate based plutocracy back in its place… Astoundingly, the Senate went on until the Seventh Century and the Islamist invasion. I enjoy your site except when you become a right wing extremist.I do NOT believe we need to attack yet another country.we need to INSTEAD modify our lifestyle so that we do not need the products of the Middle East without western money so we can drive SUV’s these countries would be broke and much poorer and much more willing to change for the positive. Let them come to terms on their own.That region of the world has had wars that have lasted longer then America has been a country. We have no right to preach to them.We need to get our dependence on them under control.More importantly we need to control our population which is the real driver of the worlds problems. Hi Ken! Funny! I found that comment of yours in my spam box (I check it sometimes, just in case, because comments with multiple links tend to end there). Apparently my spam system has more brains than I thought, because it was apparently thinking you were not for real, as you see me capable of transmogrifying into a “right wing extremist“. I was bombed once by right wings extremists. Like bombed to kill. Me. I A gentleman was in between the device and me when it exploded, after an aerial trajectory, and got torn to pieces instead. Think. I am the real thing, the real think. As I have explained, it has nothing to do with oil (Syria produces only 30,000 barrels a day). And France would probably strike, in the end, if the USA did not. In France gasoline is more than twice as expensive as in the USA. And it’s nearly all tax. I think that if a child learn two languages, the child learns two different cultures. That provides a stereoscopic vision on the human soul, it’s intrinsically philosophical. Multi-lingualism should be making Indians much smarter! ;-)! http://www.economic-undertow.com/ I think he raises many valid points that should be taken into consideration. WE are only interested in that part of the world because it lets us continue our unsustainable lifestyle for a little bit longer.The problem is, what is unsustainable will fail.We don’t have to be concerned about 1400 deaths even as we die at over 25k(USA alone) a year due to car causalities. IF it was Assad that used CW .Prioritize the real threat 100k that have been taken out by guns and bombs and the people or military there will take him out IF they want him out, but the only people wanting to take him out are western supported rebels and governments that are pro AIPAC. Let Syria sort it out. We drone (KILL)people in Pakistan and Yemen and Iraq and Afghanistan for being SUSPECTED terrorists and I bet we kill more than 1400 a year.We just don’t publish that.which makes us hypocrites.We need to change how we live.if you live in a country that imports 50% of it’s Oil then you are the real problem,If you drive an SUV you are …..don’t think I can type that . What’s all important is the ROI. I am not too worried about the price of oil. To really stop the world, it would have to double from here: then the citizens of the USA would have to live like the French (!!!!!!!!!!!!!!!). France has, like most countries, basically NO oil. You say:”WE are only interested in that part of the world because it lets us continue our unsustainable lifestyle for a little bit longer.” That’s a very cynical interpretation. It’s like saying people don’t care about Auschwitz. No doubt many don’t. Yet, I have no doubt that Obama is sincerely moved by the sight of the dead children. And as far as the French are concerned, because they spend more than ten years at school studying history, the Assad dictatorship is a no-no. 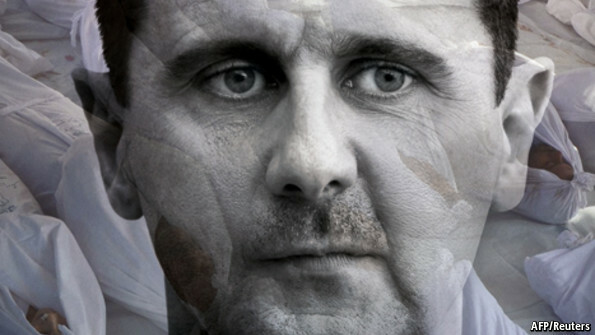 Officials there call Assad by his real title: dictator. Should the USA do nothing, there is little doubt that France and Israel would ultimately intervene. They already have (Israel conducted a bombing in Damascus’ suburbs). It’s all a question of crossing ethical red lines. Obama did, with his “signature” drone strikes, and I excoriated him (he has turned much more circumspect). If Assad gets away with using CW massively and blatantly, Kim is next (Seoul is under artillery range of the North). He just killed his famous mistress and her famous husband, so don’t count him out. If Japan uses seven times its resources, it’s not just that the Japanese are greedy hypocrites, but that they did not organize for themselves a giant Lebensraum as the citizens of north America did by massacreing the Naives. I mean, the Natives (funny typo!). Does this work in French? Or other language? withdrawing where fools tread (Iraq).